A new non-profit organization that plans to solve environmental threats with robots is developing a machine that electrocutes invasive fish. 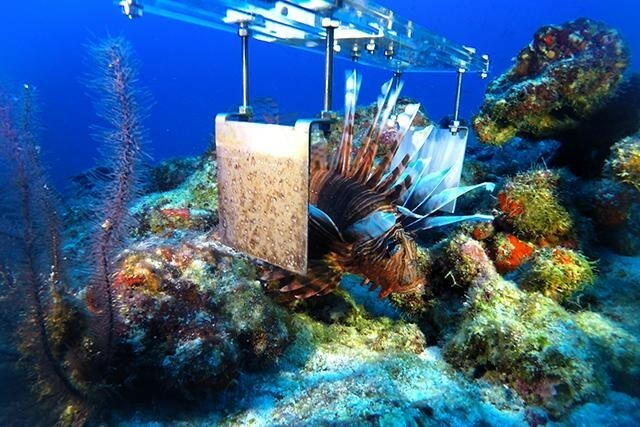 The Nekton Foundation, a deep-ocean research organization, has teamed up with the non-profit Robots In Service of the Environment (RISE) to develop an unconventional method of culling lionfish — a robot that catches the fish and shocks them to death. Nekton announced the partnership last week, as the England-based foundation made its first visit to the North Atlantic. A Nekton research vessel went to Bermuda, whose government has been trying to control the lionfish population with a task force that encourages spear fishers to hunt the fish. But since these fishers can only target fish in shallow waters, RISE is developing a terminator robot that can kill at greater depths. So far, RISE has only done shock tests in aquariums and found that saltwater is so conductive that the shock paddles would only harm what is between them. The team tested paddle mechanisms in the Bermudian coasts and found, when operators put clamping paddles around lionfish, the fish rarely flinched — likely because they’re used to nothing coming close to them on account of their poisonous fins. “Lionfish are not naturally afraid of anything so they swam in and around [the robot],” RISE executive director John Rizzi said, in a statement. 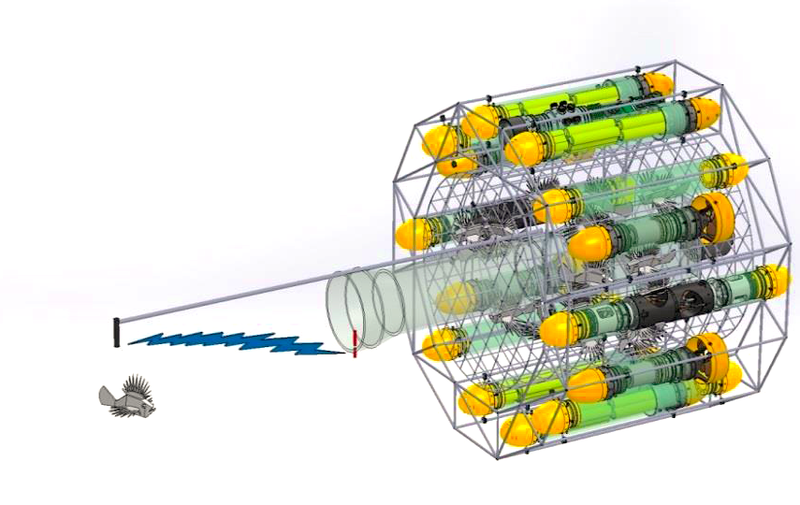 Rizzi deemed the first test a success and plans to continue trials over the next nine months, then use the results to develop an underwater vehicle that is operated remotely with the help of a video feed. 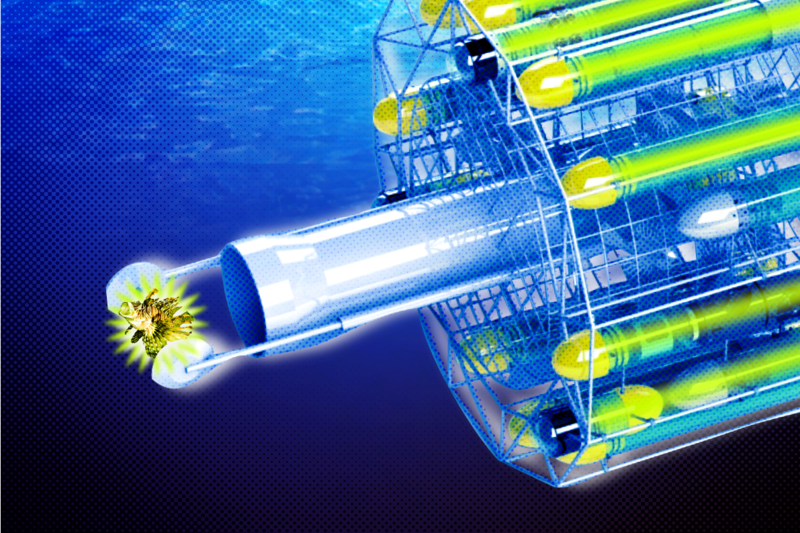 Eventually, the group wants to make thousands of long-term underwater drones that hunt fish autonomously, which sounds almost as terrifying as invasive species destroying an entire ecosystem.